So this is going to be the place where I collect posts about Bioshock Infinite that I find interesting and worth keeping up with for FUTURE THINGZ I WRITE. I’m a big fan of making these personal data collections public, so here’s the page. Bookmark it (no one uses those anymore, do they?) or whatever. I am so serious that all of these pieces are great and you should read them all in full. If you have any suggestions, feel free to tweet them at me or put them in the comments so I can add them to the list. I also want to be clear that I don’t agree with all of these, and there are some that I absolutely think are wrong, but I think getting an basic archive of the critical conversation is A GOOD THING TO DO that shouldn’t be tied to my own proclivities as A THINKIN’ DUDE THINKIN’ ABOUT VIDEO GAMEZ. Here is a thread on NeoGaf (I know, I’m sorry) that neatly lays out the plot of Bioshock Infinite. 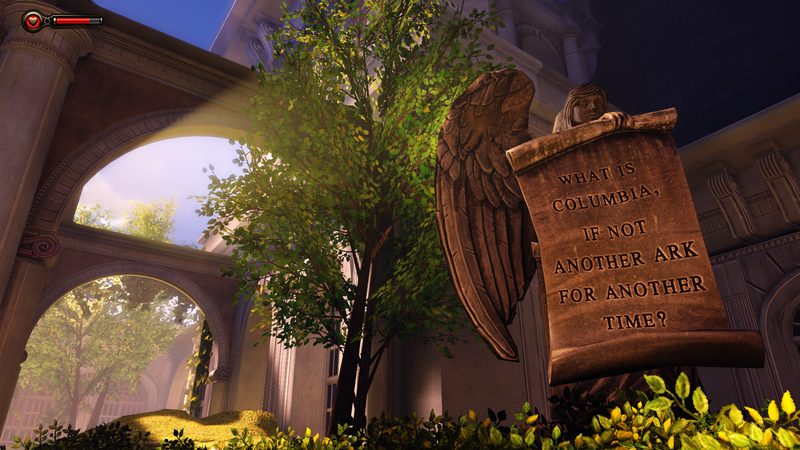 If you need Bioshock Infinite explained, that is a good place to go. This entry was posted in Video Games and tagged art, bioshock infinite, courtney stanton, daniel joseph, darius kazemi, video games. Bookmark the permalink. Thanks. Is there another game that has been so thoroughly discussed?